We are proud to announce that The Orchards Condominium Association has selected Tinnelly Law Group as their associations’ legal counsel. 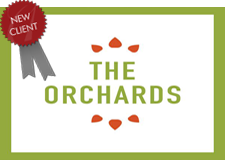 Located in Upland, The Orchards presents two brand new neighborhoods by William Lyon Homes. Residents will enjoy a private recreation center, swimming pool and tot lot, plus a great location near historic downtown Upland. Our HOA attorneys and staff look forward to working with Orchard’s Board and management.